Our center collaborates with other certified centers throughout the island of Crete and, in particular, with centers located in the prefectures of Heraklion and Lasithi. In doing so, we aim at providing you with full diving services. Feel free to contact us for more information on our course cycles. It is the first and most important scuba diving course cycle and addressed to people 12 years of age and over wishing to have their skills certified. The course cycle consists of three 2-hour instruction classes and two boat dives, in collaboration with other certified diving centers. Boat dives and dive sites are scheduled on the basis of weather conditions. Boat dives are preceded by practice dives taking place in depth-limited waters of no more than 3 meters. Boat dives take place in waters no deeper than 21 meters. Participants are required to provide the center with a chest X-ray and examinations by a physician and a cardiologist. This second level of training is designed to help 1st-level divers improve their skills through extra, specialized diving experience. On completion of the course cycle, divers receive their certification for 30-meter dives. Training includes class instruction, safety stop tables, decompression stops, buoy-assisted, ascending exercise, practical training, and 5 different kinds of dives such as deep diving, underwater orientation, search, scuba diver rescue, wreck diving, and night diving. 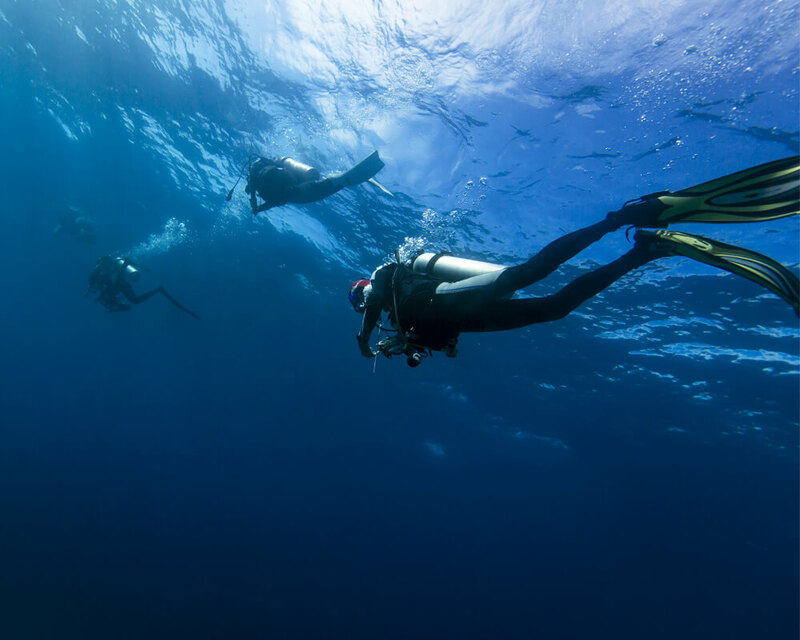 This course is designed to help you develop the skills of a dive master, dive guide, or assistant trainer. It is the amateur open water diver’s first step into professional diving. Training includes theoretical instruction, training in depth-limited waters, 3 dives in the role of assistant trainer, 3 dives as dive master, and an upgrade on search and rescue procedures. On completing the course cycle, open water divers will be able to dive to a depth of 40 meters. You are required to have 60+ dives recorded in the logbook in order to receive your certification. The course offers training in the provision of first aid and cardiopulmonary resuscitation (CPR). It also provides training for emergencies and other injuries that may occur anywhere; and for prevention and management of such incidents. Training includes class instruction, a detailed breakdown of a first-aid kit; and practical training ashore (e.g., practicing CPR on a dummy). On completing your training, you will be in a position to provide first aid. The course is addressed to anyone wishing to obtain first aid knowledge. The course is addressed to individuals 15 years of age or older who are already holders of the Advance Open Water Certificate. Rescue diver classes are characterized by 6 days of hard work and fun. The course comprises an instruction part to help participants grasp the theory to be applied during the rescue exercises and scenarios; and a practical training cycle complete with rescue exercises and scenarios.